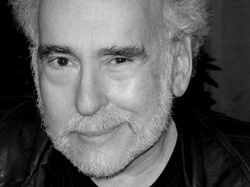 Peter S. Beagle was born in 1939 and raised in the Bronx, where he grew up surrounded by the arts and education: both his parents were teachers, three of his uncles were gallery painters, and his immigrant grandfather was a respected writer, in Hebrew, of Jewish fiction and folktales. As a child Peter used to sit by himself in the stairwell of his apartment building, making up stories. Today, thanks to classics like "The Last Unicorn", "A Fine and Private Place", and "Two Hearts," he is a living fantasy icon. Peter has written many teleplays and screenplays, including the animated versions of The Lord of the Rings and The Last Unicorn, plus the fan-favorite "Sarek" episode of Star Trek: The Next Generation. His nonfiction book "I See By My Outfit" is considered a classic of American travel writing, and he is also a gifted poet, lyricist, and singer/songwriter. He currently makes his home in Oakland, California. Already a famous book and movie, in 2011 "The Last Unicorn" also became a bestselling graphic novel from IDW Publishing.